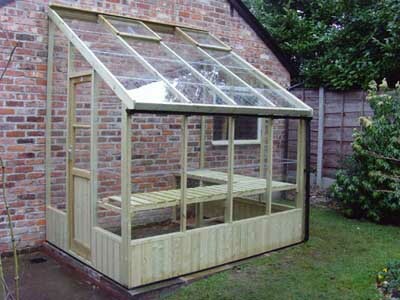 Hutchinsons now offer a small range of traditional timber framed greenhouses built with the same quality materials and finish as our garden buildings. 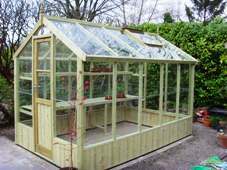 These hand crafted greenhouses are equipped with the full compliment of fixture and fittings to make these buildings truly versatile growing areas. By fitting automatic (adjustable) vent controls as standard, the glasshouse temperature can be maintained at constant levels throughout the year. 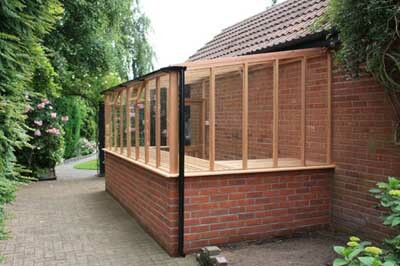 Pressure treated, tantalised, timbers are used throughout the building's framework to ensure long life. By including quality framed doors, featuring internal morticed locks and toughened glass, valuable hand tools and winter heaters can be locked away in safety.